Tree of a Thousand Stars. 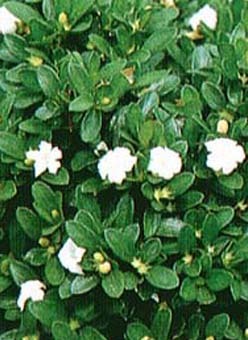 The Japonica has somewhat elongated spoon shaped, shiny green leaves. It is a twiggy tree that grows tighter with shearing. This northern Chinese Serissa has small white trumpet shaped blossoms with a full upright canopy. 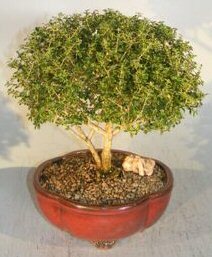 Popular indoor flowering bonsai tree. 11 years old, 15" tall.